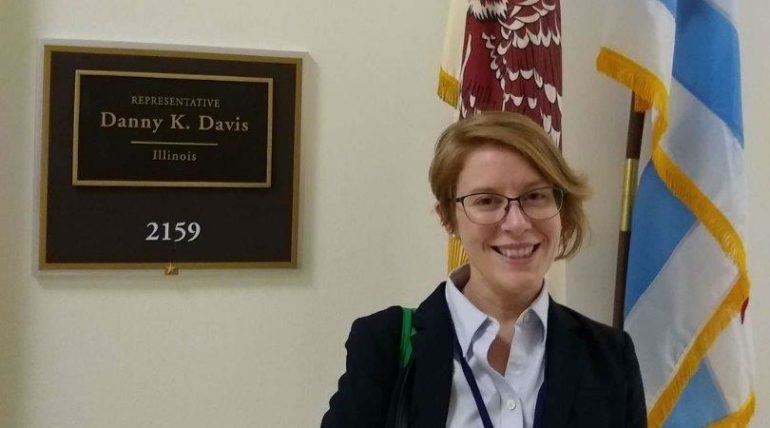 Earlier this month, Greenheart’s External Relations Manager, Bonnie Washick, flew to Washington, DC to speak with government representatives about our exchange programs. She joined the Alliance for International Exchange and over 100 representatives from other cultural exchange organizations to share the positive impact of these programs across the United States. Together, they met with representatives from nearly 150 Congressional offices! What were you most excited to speak about with Members of Congress? The good news: the new name is working! Bonnie shared that representatives from Senator Richard Durbin, Senator Tammy Duckworth, and Congressman Danny Davis’s office all expressed interest in participating in Exchange Day this year. You’ll definitely want to keep an eye out for details of our Exchange Day celebration in Chicago, similar events around the country, and even the globe! Wow, that’s a big cut. Should we be worried? Last question: How can Greenheart community members get more involved in advocacy for cultural exchange? I love this question! Anyone can read through our new advocacy e-zine, 3 Priorities for Cultural Exchange Advocacy in 2019, to get a better understanding of the challenges we’re facing and how we’re working to respond to these challenges. You can also keep an eye out for a Call-In/Write-In campaign we’re coordinating during Exchange Week in the District (April 15-19). Check out our Advocacy page the first week in April for details about that campaign and resources that will empower you to reach out to your representatives!